Free Shirt with EARLY entry! MEDALS for ALL. Athletics Manitoba members receive a $5 discount for Athletics Manitoba or MRA Members 10K race only. CHIP TIME for the 10 KM!! A official tax receipt is only issued if the donation is $10 or more. There is NO 10 KM Race Day Registration. Lots of amazing random draw prizes and a dance party with your favorite mascots post race! All ages and abilities welcomed!! Family rates available for families of 4 or more. Contact us for details. 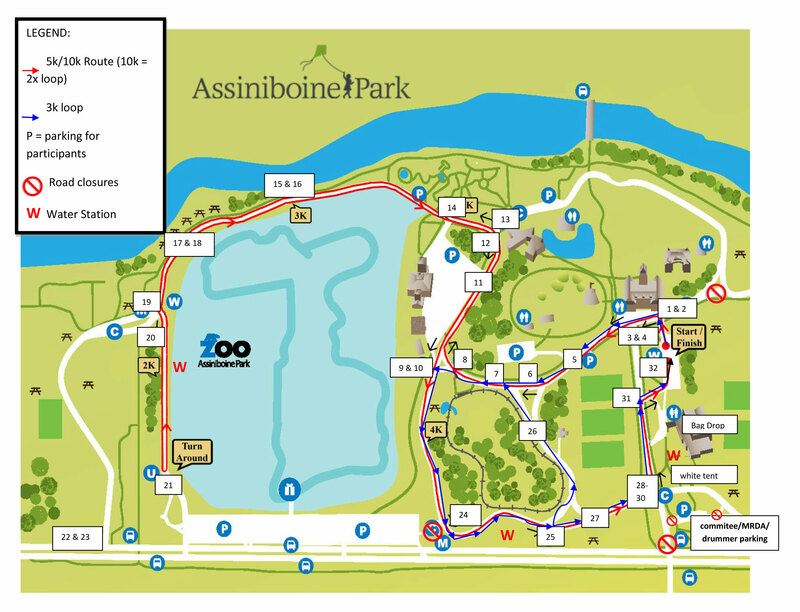 The 29th Annual Physio Fit Run will be held in beautiful Assiniboine Park on Saturday May 11 2019. This is a FUN FAMILY event with many MASCOTS including our own Turcules cheering on the participants of ALL AGES! Events include a 10 K chip timed race, 5 K fun run/walk, 3 K walk/run, 1 K Kids Run with t-shirts for early participants and medals for all! Proceeds go to the Manitoba Riding For The Disabled Association. a charity for kids with disabilities who ride horses! Schools are encouraged to participate and we have 3 awesome School Awards: School Challenge, School Spirit, School On The Move. Visit our website @ physiofitrun.ca for more information. 10Km, 5Km, and 3Km Run/Walk @ 8:00 A.M.
1 Km Kids Run @ 8:05 A.M.